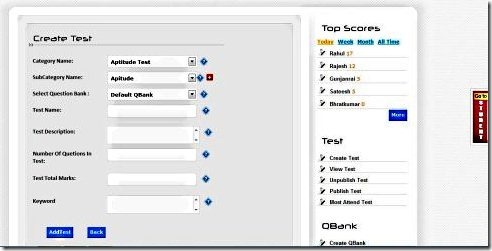 TestYou is a free web app that aids users to make online test. Not satisfied? Then you can test yourself on TestYou. A pioneering attempt to create an Indian Online Test Challenge, Indian users are in for an educational treat. Keeping the visitors in mind TestYou aims to cover all topics ranging from simple aptitude tests to Coding Language assessment. Though the web app is in the beta stage, one can predict the usefulness of the website. Free, TestYou is in beta stage. You can access the materials for free. 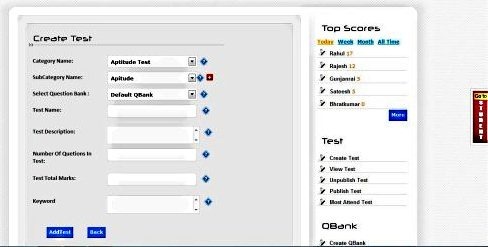 Make online test, make as many online tests on any subject. Conduct online test, you can conduct an online examination with TestYou. Make tutorials, make tutorials for students. 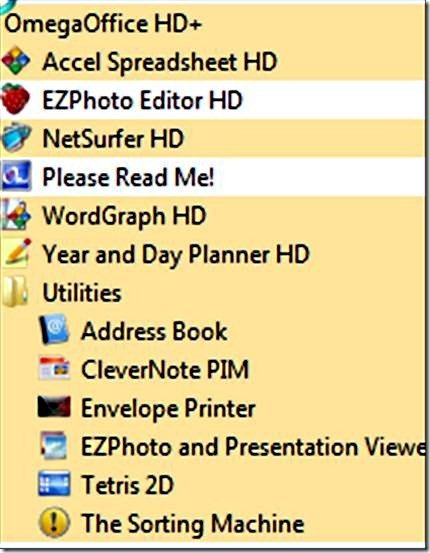 Download test, you can download test of any subject from TestYou. 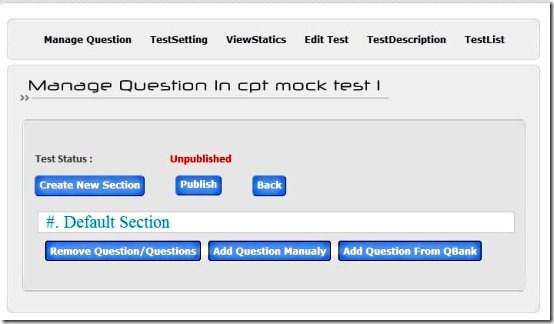 Appear for online test, You might need a mock test to prepare yourself for any examination. The website hosts a bunch of online tests focusing on a wide variety of subjects. 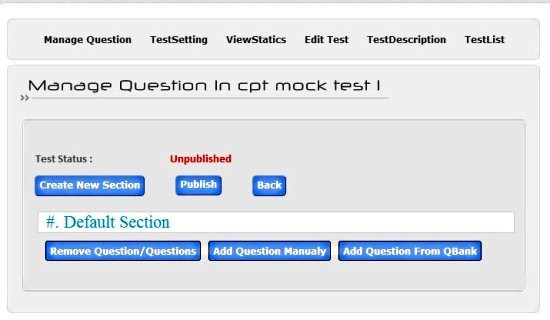 Question Bank, create a question bank which serves as a handy resource for preparing your question papers or aids other students to prepare for an examination. Click on the MYTEST Tab, then you are directed towards a page which has links to create a test. It is recommended that you join a group or create a group before proceeding further, as being a part of the group is necessary to create a test. After doing as recommended, you can start creating a test. A page appears where you have to fill in the details of the test. After filling all the fields, click on the add test button on the bottom of the page. Then you are directed to a page where you have to specify the Test Settings. Specify the settings, scroll down to the page and then click on the Apply Button. You can add or remove questions, form your own questions or use the Question Bank. 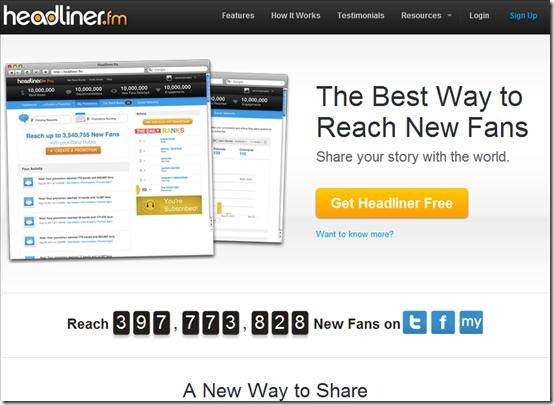 After that, you can click on Publish. Since the site is in Beta Stage, there are many incomplete features on the site, so I could not appear for a test, could not access a Question Bank or a Tutorial. There are many spelling errors on the site. The quality of online tests are not the best. Zoho Test Challenge is much better. 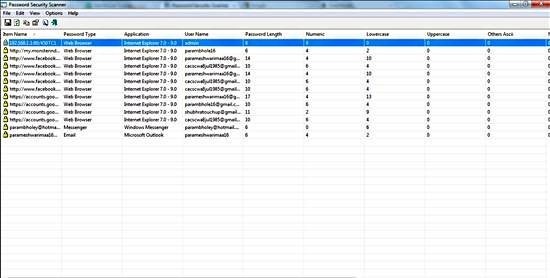 Hope the webmasters of TestYou take notice of it. TestYou is a free web app which is concentrated on online tests. Test yourself or make online test with TestYou.